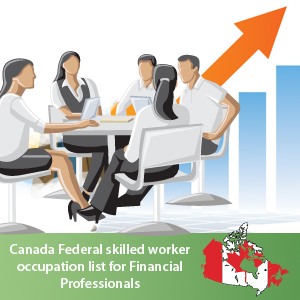 Canada has recently announced new occupations and caps for financial professionals under re-opened Canada federal skilled worker program 2014. Under Canada FSW program, there is a huge requirement for the individuals who fall under the financial category. The financial professionals can get an opportunity to work in the designations as a financial controller, manager of accounting, financial director, Chief of financing, manager of auditing and financial analysis manager. In this acadamic year the Canada Federal skilled worker occupation list of 2014 was re-opened and it has a sub cap of 1000 applications for each eligible occupation under Canada Federal skilled worker program. 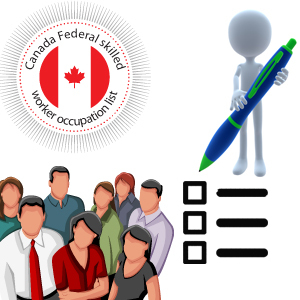 The following are the set of FSW requirements to be met by the individuals in order to qualify for Canada Federal skilled worker Program 2014 and Canada Federal skilled worker occupation list. Relevant paid work experience of one year or equal amount of experience in part time. With a valid job offer. The candidate must qualify in points based system by attaining a minimum of 67 points out of 100. Points will be allotted by considering factors like age, academic qualifications, work experience etc. Should be proficient in Canadian languages like English or French. As per Canadian National Occupation Classification (NOC) edition of 2011, the candidate must be under skill type 0 or level A or B. If you are an individual with good financial back ground and interested in Canada immigration and satisfy FSW requirements of Canada Federal skilled worker occupation list, then you can consider this as the right time to grab the opportunity with Canada federal skilled worker program, which suits your career.